Previously identified as Assadollah Assadi by AFP, the 46-year-old diplomat based in Austria was arrested in the southern German state of Bavaria on July 1. He was extradited to Belgium on Oct. 9 after a court in Bamberg approved an extradition request last week, police and prosecutorial officials said. Assadi will appear before a Belgian judge in charge of the case on Oct. 10, the Federal Prosecutor’s Office in Brussels told AFP. France announced last week it had frozen Assadi’s assets for six months. Assadi is suspected of passing a device containing 500 grams of explosives to a couple living in Belgium who allegedly planned to use the explosives to carry out the terrorist attack. 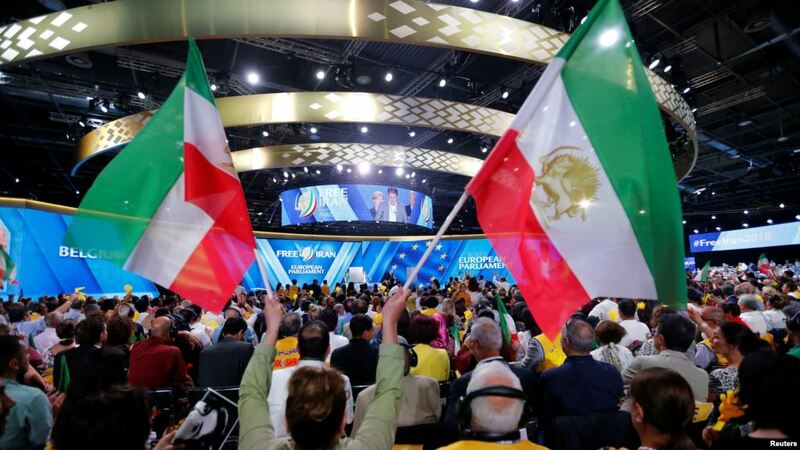 The planned attack allegedly targeted a rally of the National Council of Resistance of Iran in the Paris suburb of Villepinte on June 30, which was attended by some 25,000 Iranians opposed to the government in Teheran. The rally was also attended by leading U.S. figures, including President Donald Trump’s personal lawyer, former New York City Mayor Rudolph Giuliani, and other close allies of Trump. A Belgian special unit stopped the couple in their car in Brussels allegedly before they could carry out the attack. German police arrested the diplomat the next day at a highway service station near the town of Aschaffenburg. Iran last week strongly denied French accusations that one of its diplomats was involved in the alleged plot that took place just ahead of a visit to Europe by Iranian President Hassan Rohani. Iran has accused one of the opposition groups participating in the rally, the Mujahedin-e Khalq Organization (MKO or MEK), of being a “terrorist” group and orchestrating a plot to discredit Rohani. “We deny the accusations and forcefully condemn the Iranian diplomat’s arrest and call for his immediate release,” the Iranian Foreign Ministry said on Oct. 2. European police say Assadi had been accredited since 2014 to the Iranian Embassy in Vienna, working for Iran’s intelligence agency, which monitors opposition groups in the country and abroad. Since his diplomatic-immunity status applied only in Austria, he was arrested in Germany on a European arrest warrant issued by Belgium. Belgian authorities have also requested the extradition of a man identified as Merhad A., who was detained in Paris when the alleged plot was uncovered. Belgian police believe Merhad A. is an accomplice of the husband-and-wife team caught in Brussels in possession of 500 grams of the powerful explosive TATP and a detonator. All three are Belgian nationals of Iranian origin, police said.